Offering 25,000 square feet of decadent event space in Seattle, the Grand Hyatt is a fully featured venue that will effortlessly host our delegates throughout its vast, flexible space right in the heart of the city. Its cutting-edge audiovisual setups can be used in all spaces, and even boasts a 150-seat amphitheater. Connects Seattle is going to welcome delegates from all over the globe in style. Why not stay here too? We’ve arranged a preferential hotel room rate for our conference attendees – scroll down for more details and links! NEED A HOTEL ROOM TOO? 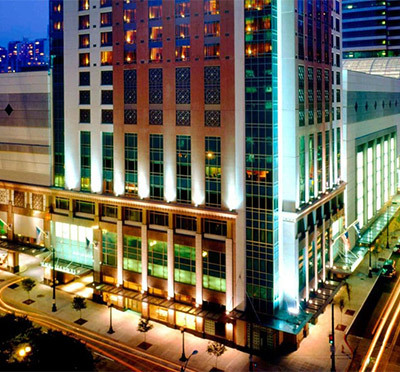 We’ve partnered with The Grand Hyatt to offer all delegates a discounted rate on rooms over the event period. Staying at the Grand Hyatt Seattle is a chance experience an upscale Pacific Northwest getaway, located in the downtown Theater District. Enjoy the comforts of a Four-Diamond hotel with stunning skyline views, situated steps from iconic landmarks and destinations like the Space Needle, Pike Place Market, and the scenic Seattle waterfront. Want to play an active part in the PGC experience?